This week, with the husband out in the field, the kids and I are enjoying the big, bold and tasty flavors of Chili’s® at Home with a family date night! We try to do something fun and special when Daddy isn't around, so this project came at the perfect time. 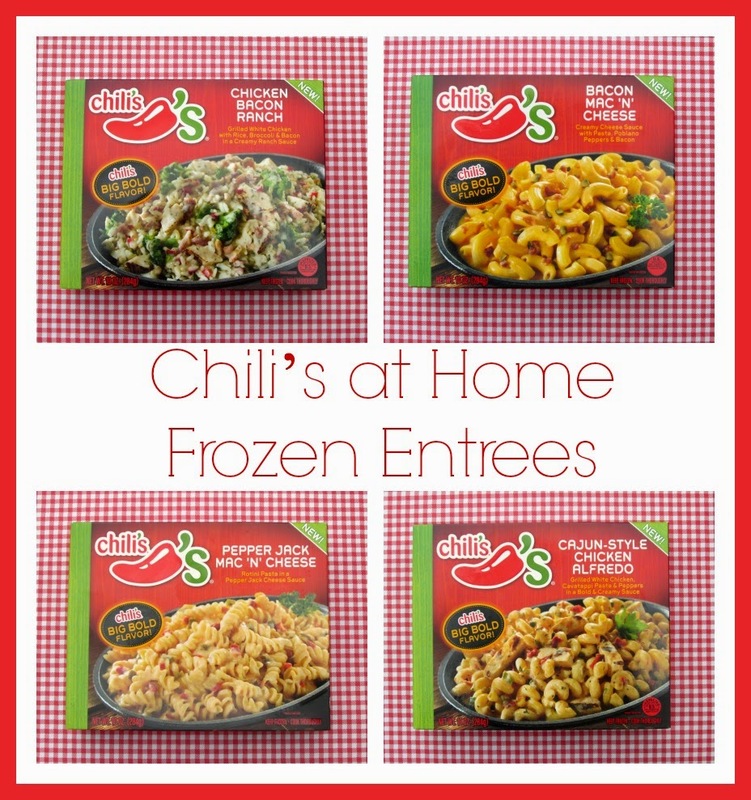 We decided to have a fun family night in, and Chili’s at Home frozen foods was our dinner of choice. The kids joined me at the store so we could peruse the various kinds of meals available! Chili’s at Home offers two main types of meals--single serve entrees and multi-serve meals. We headed to our commissary, coupon in hand, to choose a few. We picked two multi-serve meals for later in the week, but decided to choose four of the single-serve entrees to serve dim sum style so we could each sample them. Our picks? Bacon Mac ‘N’ Cheese, Cajun-Style Chicken Alfredo, Chicken Bacon Ranch, and Pepper Jack Mac ‘N’ Cheese! Since they are extra easy to prepare, I just preheated our oven to 350, vented the tops and baked them. The instructions are simple, and they are also microwavable. Can you say work lunch? I need to pick up some more for the husband on his busy days too. Out of the oven and ready to serve! We each made ourselves a sample plate and sat down to a lovely dinner. The verdict? The kids loved the Bacon Mac & Cheese the best, with the Chicken Bacon Ranch Rice coming in second. My favorite was the Pepper Jack Mac & Cheese. We all agree that the husband would have loved the spice content on the Cajun-style Chicken Alfredo, although it was spicier than the kids could handle. We want to try the other flavors for sure! What other kinds of Chili's at Home meals are there? So glad you asked? Which one would you love to try? We've got the Chicken Fajita Rice and the Nacho Potatoes with Beef & Bacon for later in the week, and I'd love to try the Seasoned Chicken Bites with Honey Chipotle Sauce! That just sounds awesome! Don't forget to print a coupon before you buy! Disclosure: This post is sponsored by Bellisio Foods, for Chili's at Home, all opinions, photos and yummy flavors were my own!